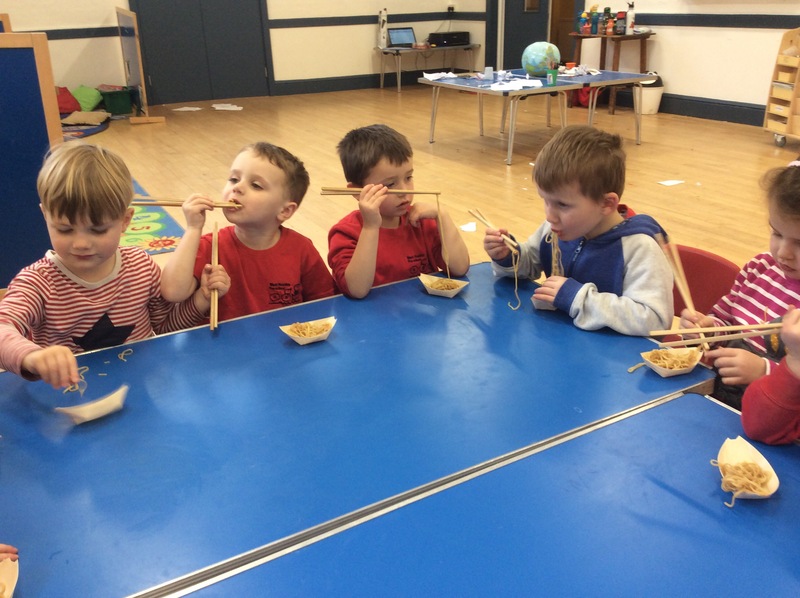 There were more Chinese New Year celebrations today. 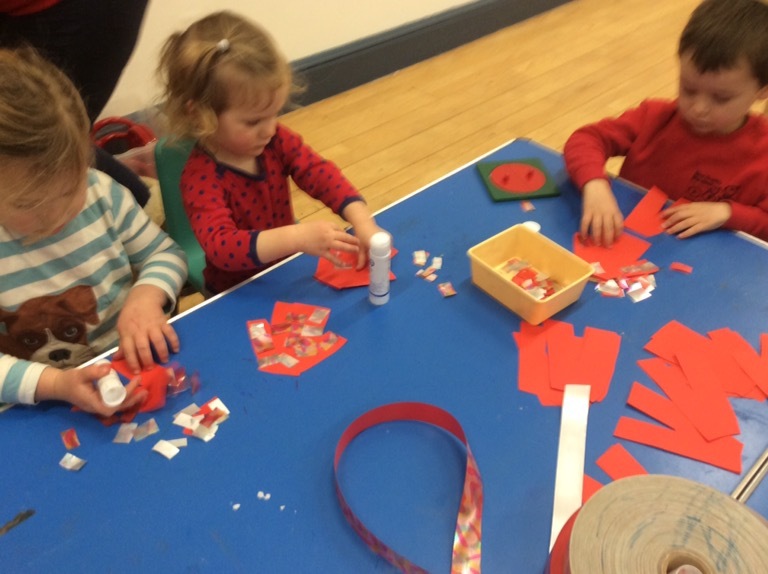 We used cut out Chinese style paper clothes, the children used stick glue to place small pieces of ribbon onto the paper. 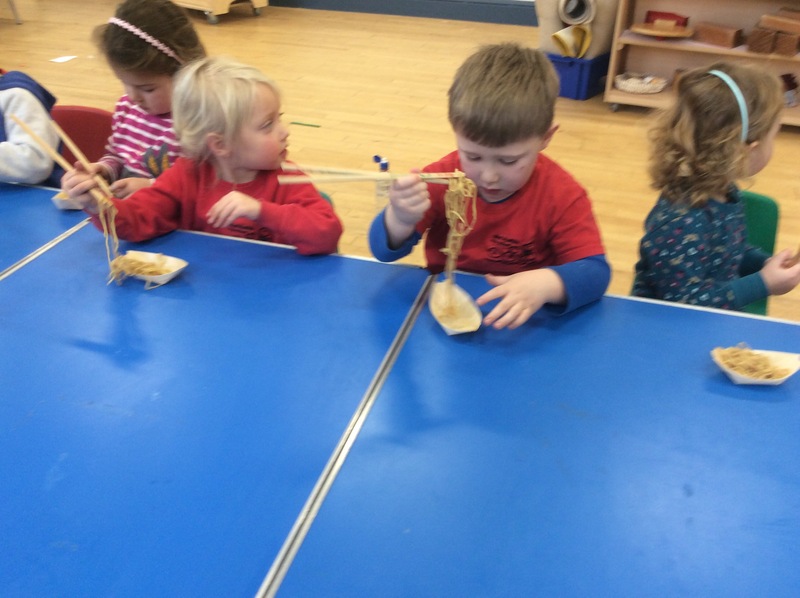 We also made noodles and all tried some using chopstick to scoop them up. Both these activities were great for fine motor skills. 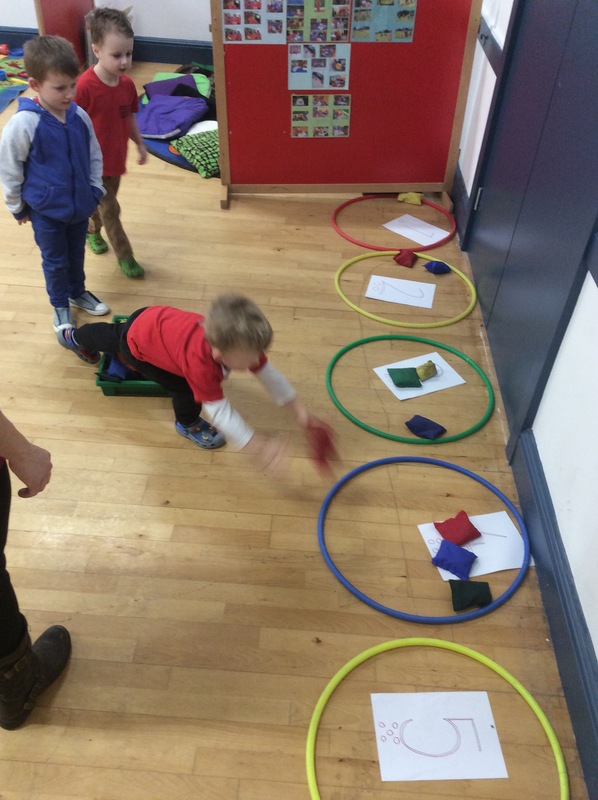 We also made created a new maths game, using hoops and beanbags. 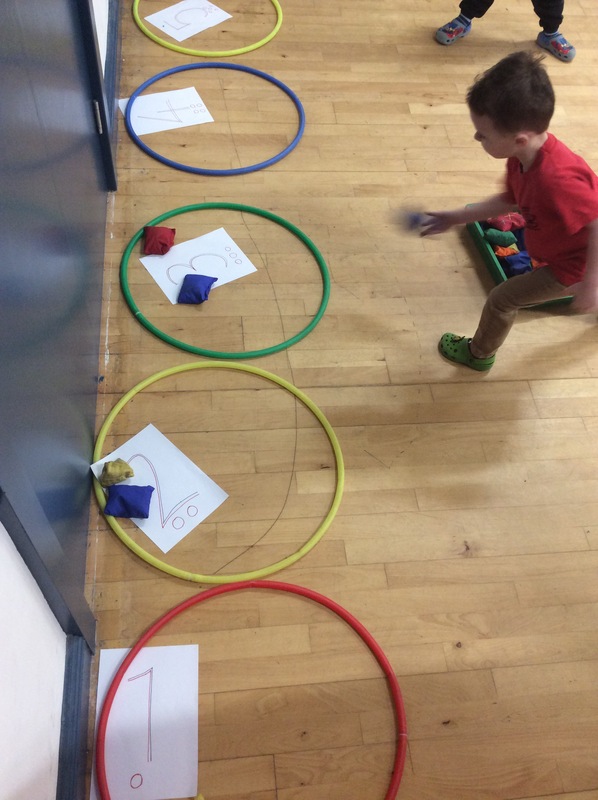 The children had great fun throwing the correct number of beanbags as fast as they could and even self correcting if they made a mistake.